Offering you a complete choice of products which include cutting worm gears, lock gears, worm gears, brass worm gears and geared armature shaft. Swadeshi also offers gear cutting services for one and all . Backed by a team of highly devoted professionals, our organization is offering a wide range of Cutting Worm Gears. We have the Spare capacity for provifing gear cutting. 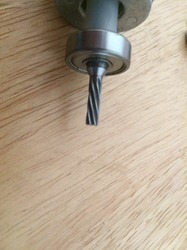 Customers can supply us gear blanks and we can do gear cutting for them. 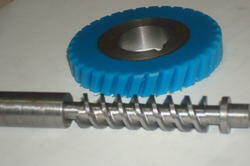 We at Swadeshi makes various gear parts for automotive locks lke Lock Gears. Our customers are further making car locks for various Oems Like Honda, Maruti etc. Thee Lock gear parts are made for all two wheelers and four wheelers. With rich industry experience and knowledge, we are engaged in offering an exclusive range of Worm Gears. 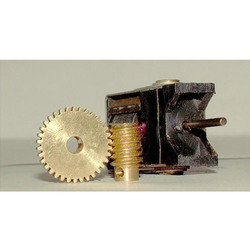 The offered worm gears are developed with the help of finest quality material and advance tools under the management of accomplished professionals. 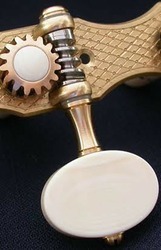 We are offering Brass Worm Gears to our clients.